Home News Channels Family & Living Eggs: Handle Them Safely As You Celebrate! SILVER SPRING, Md., April 2, 2015 /PRNewswire-HISPANIC PR WIRE/ — Since ancient times, the egg has been regarded as a symbol of new life and has been associated with springtime celebrations, such as Easter and Passover. But, even during festive occasions, eggs can cause food poisoning (also called foodborne illness) if they are not handled properly. 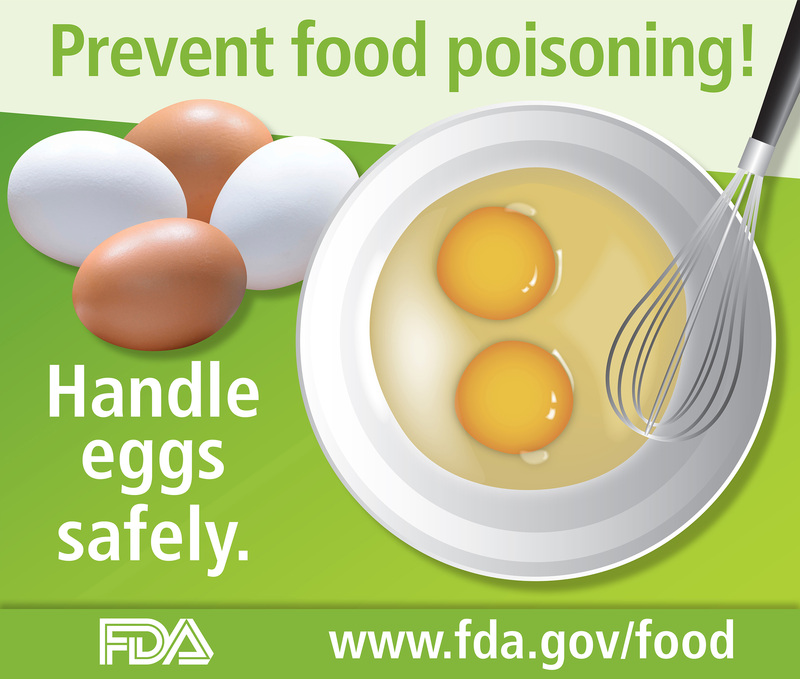 That’s why the U.S. Food and Drug Administration (FDA) reminds consumers to handle fresh eggs safely during their springtime celebrations and throughout the year. Salmonella can be found on both the outside and inside of eggs that look perfectly normal. These bacteria can cause nausea, vomiting, diarrhea, cramps, and fever. In otherwise healthy people, these symptoms generally last a couple of days and taper off within a week. But certain people, such as pregnant women, young children, older adults, and persons with weakened immune systems, are at greater risk for severe illness from Salmonella. In these individuals, a Salmonella infection may spread from the intestines to the bloodstream, and then to other parts of the body. In some cases, the infection can lead to death unless the person is treated promptly with antibiotics. The outside as well as the inside of eggs can be contaminated. Wash hands and all food contact surface areas (e.g., counter tops, utensils, dishes, and cutting boards) with soap and water after contact with raw eggs. Never let raw eggs come into contact with food that will be eaten raw (or with utensils that could cross-contaminate other foods). Cooking reduces the number of bacteria present in an egg; however, a lightly cooked egg with a runny egg white or yolk still poses a greater risk than a thoroughly cooked egg. Lightly cooked egg whites and yolks have both caused outbreaks of Salmonella infections. Cook eggs thoroughly until both the yolk and white are firm. For recipes containing eggs mixed with other foods, cook eggs to an internal temperature of 160 degrees F (71 degrees C). Eat eggs promptly after cooking. Do not keep eggs warm or at room temperature (between 40 degrees to 140 degrees F) for more than 2 hours. For recipes that call for raw or lightly cooked eggs, consider using pasteurized shell eggs or pasteurized egg products. Keeping eggs adequately refrigerated prevents any Salmonella bacteria in or on the eggs from growing to higher numbers (which makes them more likely to cause illness). Buy eggs only from stores that keep them refrigerated. At home, keep eggs refrigerated at 40 degrees F (4 degrees C) until they are needed. Use a refrigerator thermometer to be sure. Refrigerate unused eggs or leftovers that contain eggs promptly. Avoid restaurant dishes made with raw or lightly cooked, unpasteurized eggs. When in a restaurant, ask if they use pasteurized eggs before ordering anything that might result in consumption of raw or lightly cooked eggs, such as Hollandaise sauce or Caesar salad dressing.